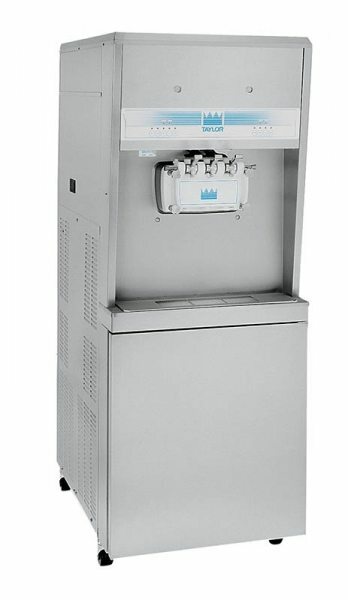 Taylor 8756 Soft Serve Ice Cream Machine | DSL Inc. 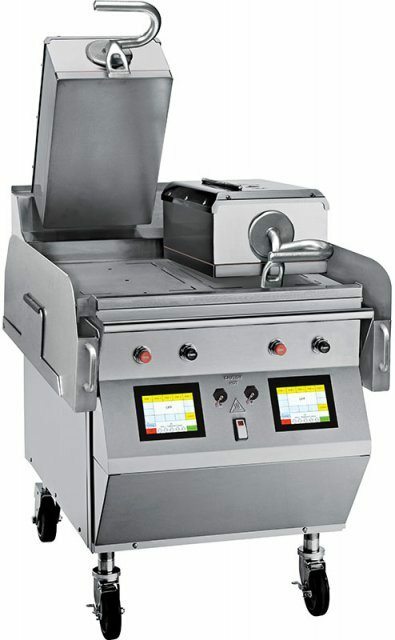 The Taylor 8756 soft serve ice cream machine can create two delicious flavour variations, serving them separately or as an equal combination of both in a twist. The machine is also able to work with almost any soft serve product, from low or non-fat ice creams to yogurt, custards and sorbet. And as always, it’s built using the high quality Taylor manufacturing process, ensuring it is constructed to the highest standards and that you get the best and longest lasting equipment on the market. 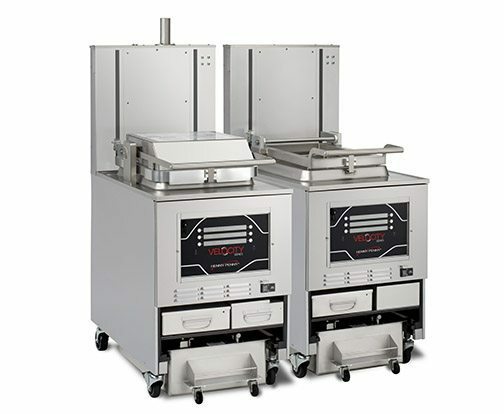 Lower front mix cabinet is independently refrigerated to maintain mix below 41ºF (5ºC). Door is hinged on the right. Two, 9 gallon (34.1 liter) mix tanks. Two air/mix pumps deliver the precise amount of air and mix to the freezing cylinder.